CIVITTA, the leading management consultancy from Central Eastern Europe, has expanded its reach with a new office in Helsinki. Helsinki Business Hub assisted the company through the crucial setup steps, and the cooperation is ongoing. CIVITTA has had a flying start. In eight years since the company was founded in Estonia, it has grown into a leading management consultancy across the Baltics and Eastern Europe with over 300 consultants and 21 offices across 12 countries. After recognising a strong demand for transparent and high-quality management consultancy services from Nordic companies operating in the Baltics and Eastern Europe, CIVITTA opened an office in Helsinki in May 2018. CIVITTA’s offering to the Finnish market is three-pronged. The company provides a mix of traditional consulting services, insight on Eastern European markets and business-driven data analytics. In particular, it is CIVITTA’s market knowledge and access to data scientists and analysts across Eastern Europe which help the company stand out. 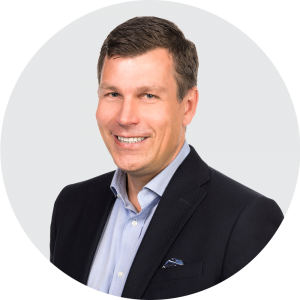 CIVITTA has already advised several clients in Helsinki, ranging from startups to listed corporations. 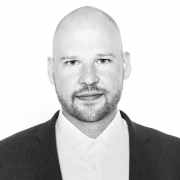 Estonian-born CIVITTA brings a new approach to consultancy and job opportunities to Helsinki. Helsinki Business Hub has played a vital part in Civitta’s strong start to life in Finland. The consultancy has tapped into Helsinki Business Hub’s local knowledge and contacts, ranging from lawyers to potential customers, while setting up its operations in the Finnish capital. And the future looks bright for CIVITTA. Currently, the company employs six people in Helsinki and plans to increase its headcount to over 20 people by the end of 2020. This opens up interesting opportunities for highly educated professionals in Helsinki. CIVITTA is a firm believer in cooperation. The company’s Helsinki office is able to benefit from the local expertise of CIVITTA’s consultants in Estonia, Latvia, Lithuania, Poland, Ukraine, Romania, Moldova, Russia, Belarus and Serbia. And vice versa, the company’s offices in these countries have already reached out for advice from its Helsinki operations. This collaborative approach will take an even stronger role in 2019. If 2018 was a year of setting up and meeting people for CIVITTA in Helsinki, this year the company is switching gears. Success in Finland is a vital springboard for the consultancy. “Finland has an important role as a forerunner [in the Nordics]. If we get a strong foothold here, we can use it for expansion to the other Nordic countries as well,” Virtanen concludes. Want to learn more on the ICT opportunities in Greater Helsinki? Contact us! We help foreign companies to find business opportunities in Greater Helsinki. All needed information and contacts to the local ecosystem are just one phone call away.